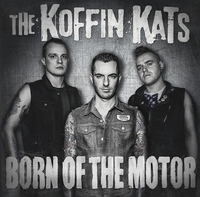 Steeped in strong psychobilly roots, The Koffin Kats are an institution in punk rock ‘n’ roll. After a full decade of traveling the globe, The Koffin Kats return with their most definitive recording to date, Born Of The Motor – a swagger-filled album full of infectious riffs, fist-pumping punk cadences and hypnotic soulful bellowing that complete a sonically diverse masterpiece. 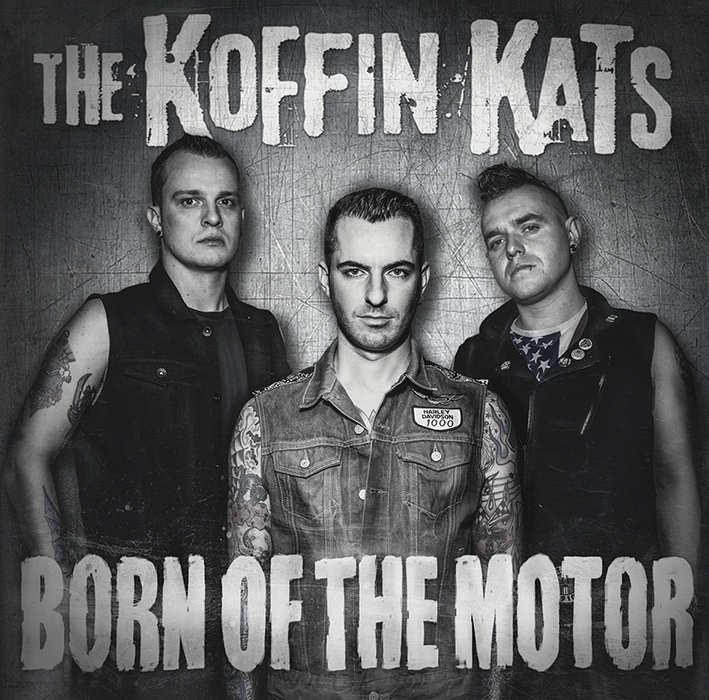 With Born Of The Motor, The Koffin Kats continue their classic storytelling style, but with their most real, most personal lyrics to date. “Life is hard… life is uncertain – that’s something everyone understands. It’s not where you start or where you end up, it’s how you LIVE your life in between that matters,” says vocalist Vic Victor. Both a sonic homage to their resident city Detroit and its blue-collar legacy, and a metaphor for being hard-wired towards hard work and persistent ambition, The Koffin Kats charge forward waving a proud flag soiled with blood, sweat and whiskey — defying the decay and chaos that has stained their city in recent years. Loyal Koffin Kats fans will be satiated with Born Of The Motor just as new fans will be enticed by the majesty of their rock ‘n’ roll prowess. Recorded at Stu Stu Studios in Livonia, MI and mastered by Adam Ayan (Foo Fighters, Nirvana, Rolling Stones), Born Of The Motor is poised to drive the Koffin Kats to new distances with speed, power, and hell-raising fun. Buckle up and get ready for one hell of a ride!